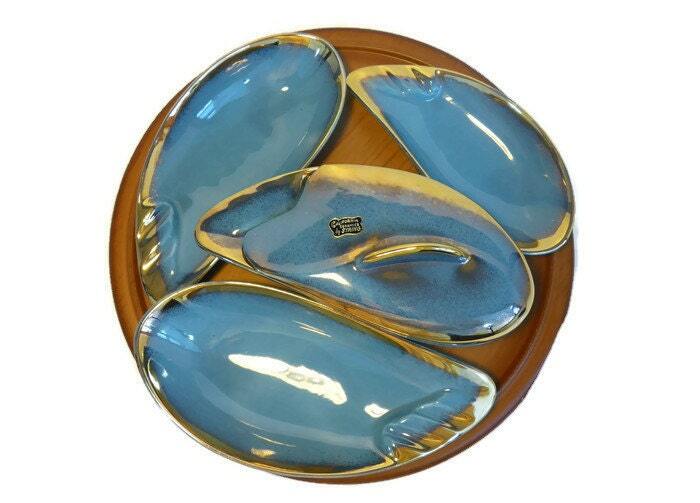 A Lazy Susan Serving piece by California Ceramics by SYRING that has the original sticker on it and appears to never have been used. 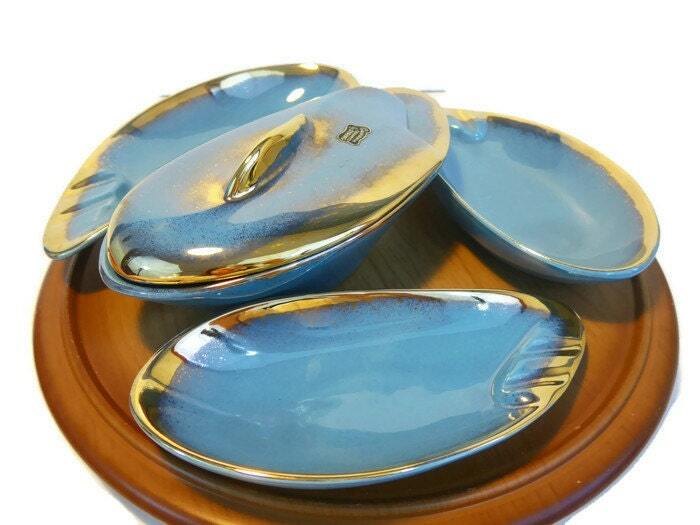 It is a striking turquoise with gold splatter trim on all 5 of the serving pieces. The center dish has a lid which has the sticker on it. 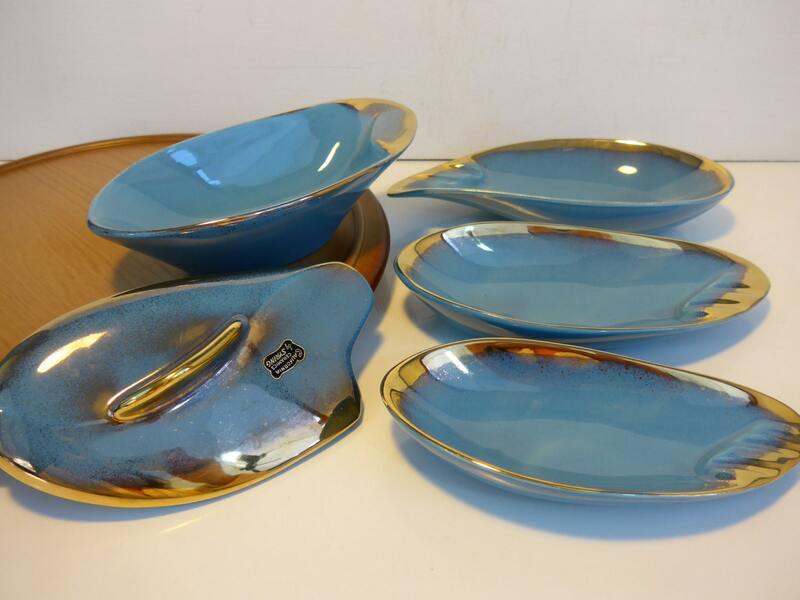 The three serving dishes are all a slightly different size and slightly different height: largest being the highest and smallest being the lowest. 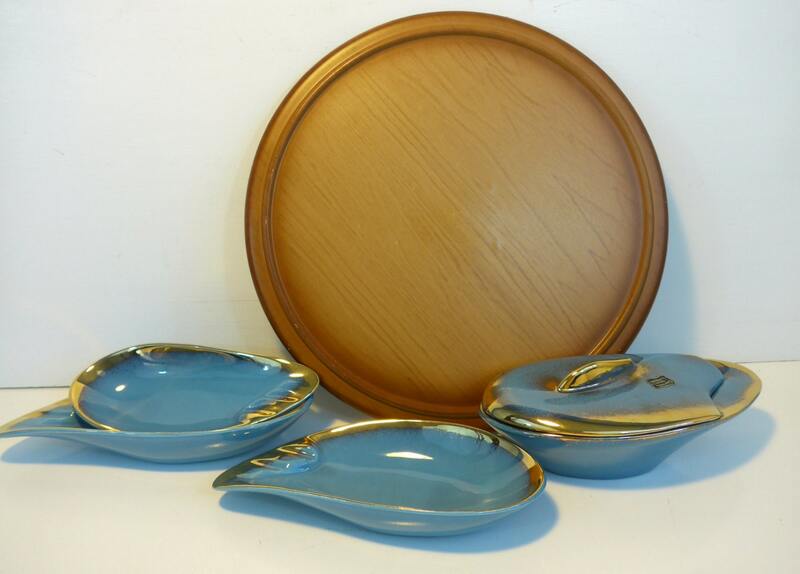 They sit on a brown wood and plastic Lazy Susan revolving tray. 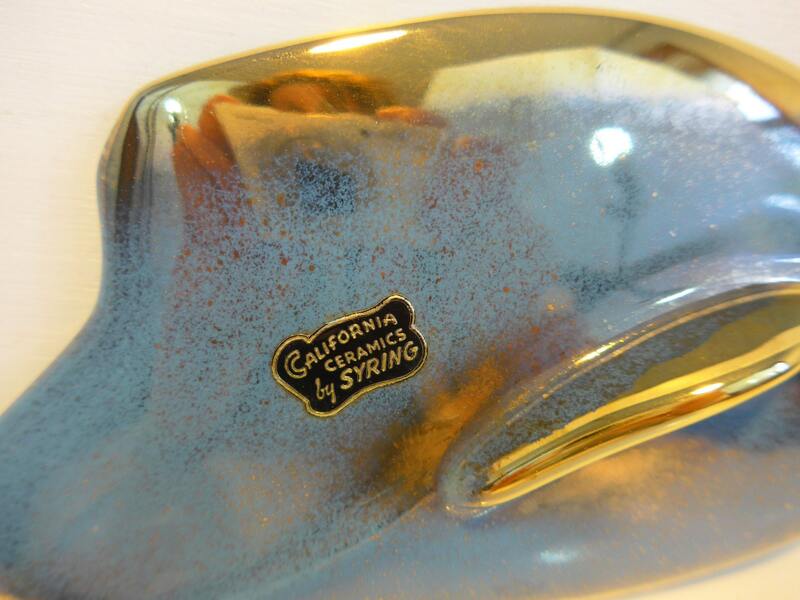 In amazing vintage condition considering this item is circa 1960s. No chips or cracks. Gold is in wonderful condition. The tray has some wear in a few places that are there from storage.